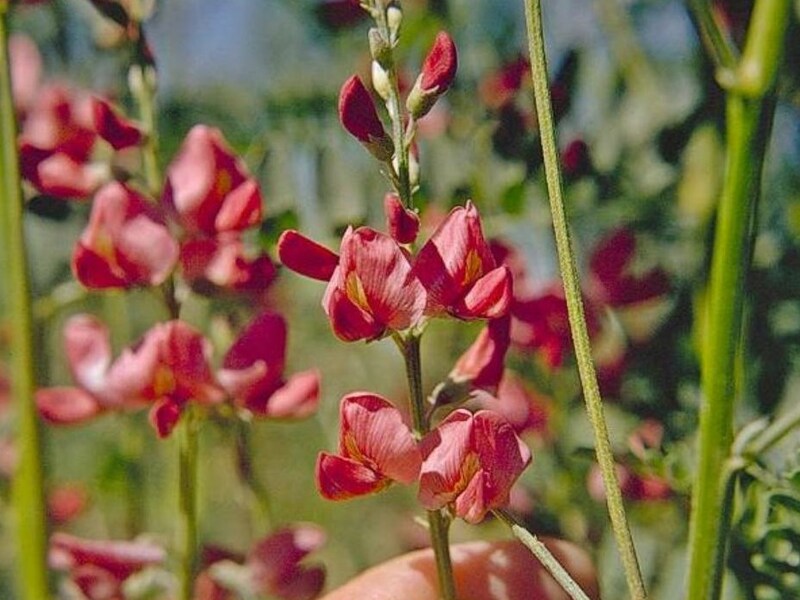 Sphaerophysa salsula (alkali swainsonpea) is a perennial herb/ (family Fabaceae) with red flowers and small oval-shaped leaves found in the San Joaquin Valley in California. It is native to Asia. It favors grasslands. It spreads via water and contaminated alfalfa seed.